The Government majority in Fine Gael and Labour have rallied around Alan Shatter and he will survive in Cabinet until the public pressure becomes unbearable for Fine Gael and Labour. ALAN SHATTER is not fit to be Justice Minister for more than the penalty points farce that he has unnecessarily and embarrassingly embroiled himself in. Fine Gael TD Shatter’s cack-handedness in ‘outing’ Mick Wallace TD diverts attention from a raft of issues on his watch that the much-vaunted ‘reforming minister’ seems unable to manage competently. His abuse of privileged information received in his capacity as Justice Minister for political advantage. It is also clear that there is a quid pro quo and unhealthy relationship between the Justice Minister and Garda Commissioner Martin Callinan. The Government must provide for an independent police authority in this state (as called for by the Garda Representative Association) that is free from political interference while being fully accountable to the Oireachtas and Joint Policing Committees and that fully co-operates with the Garda Inspectorate and the Garda Síochána Ombudsman Commission. These factors were included in an amendment by the Sinn Féin TDs to Fianna Fáil’s motion of ‘no confidence’ in Minister Shatter being debated the day An Phoblacht went to press. The Justice Minister does not command the confidence of either the Garda or the public. His management skills are on a par with his literary prowess as a novelist. 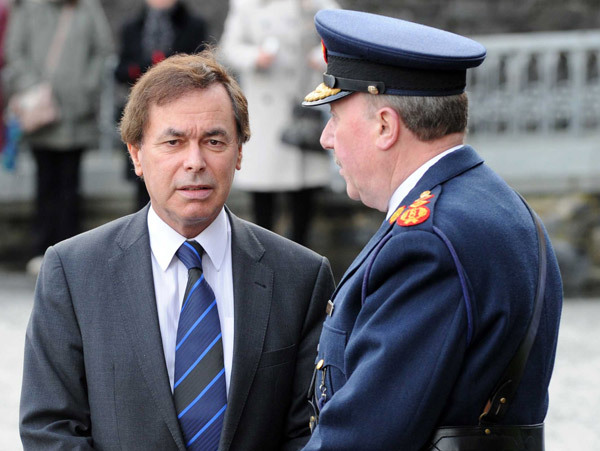 The ‘absent-minded’ Alan Shatter should stand down or be replaced. He should pay the penalty for his failures.